Easter Monday is a Christian holiday celebrated the Monday after Easter. It is the continuation of celebrating Jesus's resurrection. 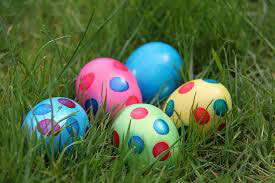 Modern day Easter Monday can be celebrated with Easter eggs and scavenger hunts as well as a church sermon. This is a national holiday for Australia and used to be a week long. The history of Easter and Easter Monday relates to the Jewish Passover to which Peter, in the bible, said that Jesus was crucified near the final Passover. The date is not really certain and changes around a lot, but it still represents a time of happiness for Christians.